It is perhaps the collection of molds from every product ever made in more than 300 years that is the greatest treasure of the Meissen State Porcelain Manufactory. 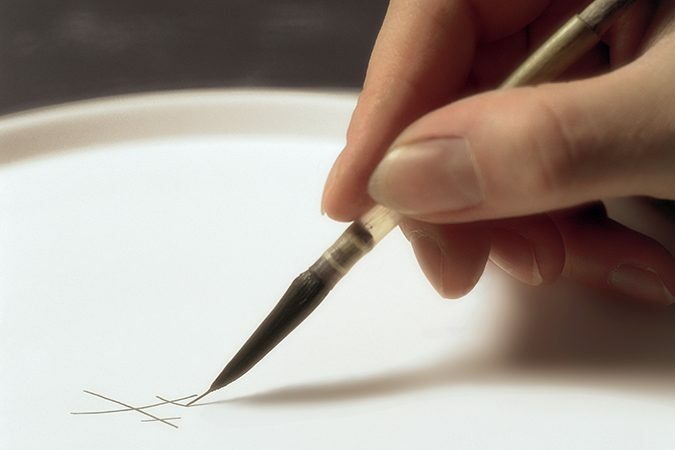 But the oldest porcelain maker in Europe whose famous Crossed Blue Swords are the oldest trademark in the world, is also looking into the future: not only porcelain, but also other luxury goods are now being produced. The manufactory is a world of experiences: after a visit to the demonstration workshops, visitors are immersed into the history of the company in the museum. In the restaurant, where you can dine on Meissen porcelain, various ceremonies show how table and dining culture has changed over the centuries. The boutique offers the largest selection of Meissen products worldwide and the outlet store has a great selection of porcelain that has not quite passed the high quality control, although this is undetectable to the buyer. 15th-century Albrechtsburg Castle, the first purely residential castle to be built in Germany, was used as a manufactory for the manufacture of porcelain for more than 150 years. Once the porcelain manufactory had moved out in the mid-19th century, the Albrechtsburg was converted back into a castle and decorated with sumptuous murals. 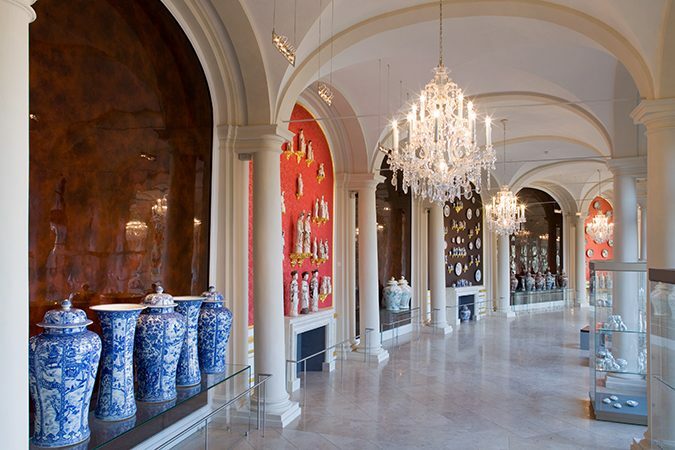 The permanent exhibition commemorates the eventful history of the building and enables visitors to travel back to the time when porcelain with the Crossed Blue Swords was made in a castle, in a truly regal way. Not far from the porcelain manufactory is a nondescript 13th-century church, a very special memorial to the victims of World War I. Flanked by the world’s largest figures made from Meissen porcelain, wall plaques list the names of some 1,800 people from the town of Meissen who were killed in the war. From the tower of the Church of Our Lady on the market square, the oldest carillon made from the same precious material rings out. And the adjacent wine restaurant Vincenz Richter, one of the most romantic locations in Germany, is home to many valuable artefacts including the original letter in which the production of the first European porcelain was announced to Saxony’s ruler Augustus the Strong. He could make gold, boasted the alchemist Johann Friedrich Böttger. But after being taken into protective custody by Augustus the Strong and with the help of top Saxon scholars, he succeeded instead in inventing European porcelain which is harder than its Asian counterpart. On Brühl’s Terrace a plaque commemorates the spot where Böttger’s laboratory once stood. Early and valuable porcelain first manufactured on a small scale in Dresden and then in Meissen, and its brown precursor, known as Böttger stoneware, can be admired in the Porcelain Collection of the Dresden State Art Collections. On the outer wall of the long corridor in the stable yard, part of the Royal Palace, the artist Wilhelm Walther created the Procession of Princes, a historically accurate representation of all but the last of the rulers from the Wettin family which led Saxony for 829 years, down to the last detail. Since the image eroded quickly, it was transferred just 30 years later onto 25,000 seamless tiles made of Meissen porcelain, forming the largest porcelain picture in Europe. The second-largest adorns the lobby of Dresden-Neustadt station and is dedicated to the most beautiful castles in Saxony. 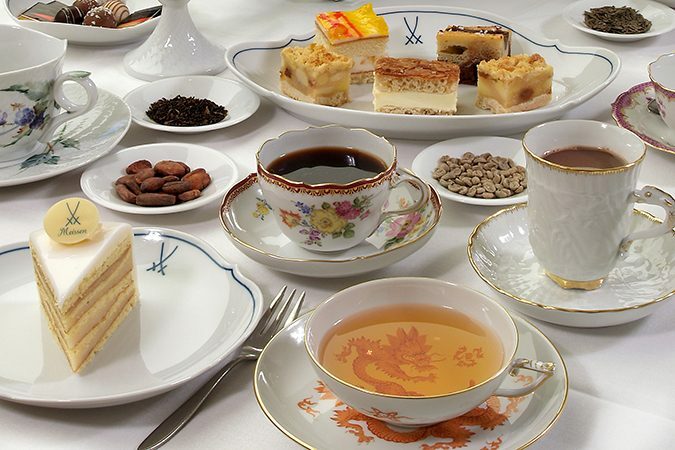 The fact that Meissen porcelain is often referred to as “Dresden China” is of course an honor to the city where it was invented, but also leads to confusion, because a company called “Dresden Porcelain” also exists and is close to Meissen porcelain in quality and exclusivity. 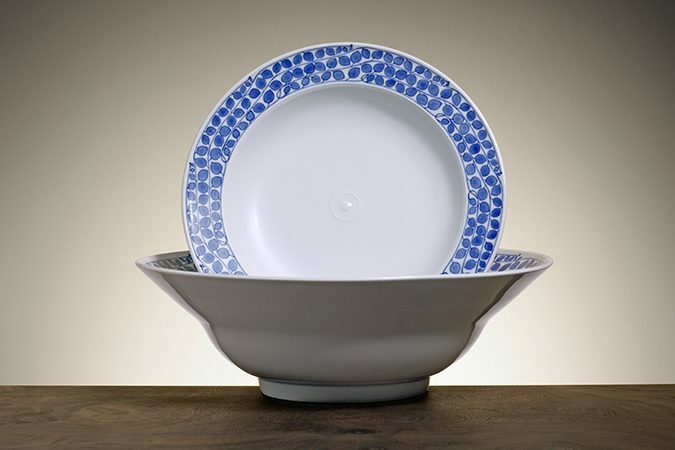 To increase the confusion, it should be noted that porcelain with the brand "SP Dresden" (= Saxon Porcelain Manufactory Dresden) has never been produced in the Saxon capital but always in Freital near Dresden. Visitors to the manufactory can try to model a Dresden Rose, learn porcelain painting in one- or multi-day seminars, join a tour or just shop in the manufactory store.